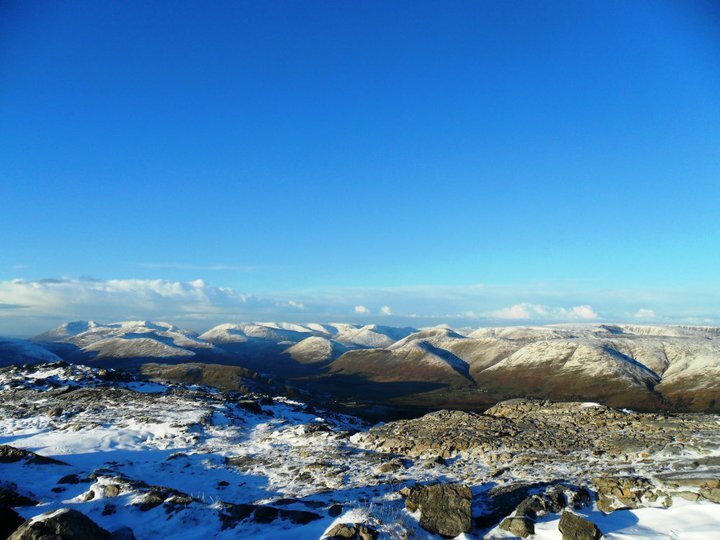 The Beanna Beola Hillwalking Club was founded in 1997 in Connemara, stemming from an idea by Clifden local Michael Gibbons to hike the toughest 12 Bens as a challenge in one day. The first 12 Bens Challenge took place in 1997 and the club continued to organise the challenge for the next 10 years. Fortnightly walks take place on Sundays following a pre-planned schedule. Walks are mainly in the west / north-west area and the surrounding islands. Walks are graded - Level 1 (low, easy) to Level 5 (more peaks, longer and more strenuous - see walks schedule for a comprehensive explanation of walk grades). Occasional weekends/weeks away in Ireland and abroad are also organised. We welcome new members of all levels & MCI visitors http://www.mountaineering.ie/. However, it should be noted that our emphasis is on hill walks rather than low level rambles. We do encourage training but are not yet in a position to arrange training ourselves (in the pipeline). Age profile 30s to 50s +.